It is very common in Christian evangelical circles to hear criticism of New Thought new age ideas as both wrong and demonic even. In New Thought circles, it is also common to think and hear that the Bible is a myth book and Jesus was only a great teacher or ascended master etc. Both groups would be helped if they listened to each other and see what is true and not true without judging having never listened to each other. The author has taken three years of his time to listen to New Thought teaching having been trained in Evangelical schools and attended those types of churches all his life. He is best able to put the two together in a helpful way to understand both. We are making new discoveries in Mind, body, spirit connection. The best understanding, we have is from those who in the past were geniuses and pioneers in this area of energy, vibration and frequency. He brings in both Swedenborg the genius mystic and Tesla who was the greatest mind of the last century so said Einstein. Having six months to live in 2002 nearly dying from Cancer and 15 years later being told he is in the top 3% of health for men his age, this quest took on a personal journey which is told in story form in exciting detail. How we process our journey of life is more important than anything else about living. People who live each day in anger, fear and stress need to read this book. Timothy Sauder is Canadian and has travelled extensively in North America including Alaska and Hawaii. He has been in Asia visiting China, Cambodia every year, Laos, Indonesia and Thailand. He is in the top 2% on trip adviser as a world class traveler. He drove through Central America lived in Panama and Korea. Presently he lives in Phoenix Arizona with his wife Susan. His background studies are in Theology, Biblical literature where he holds a BA degree and has post graduate degrees in Education and in the History of Christian Doctrine. He is a scholar in Ancient history focusing on the pre-flood civilization evidences which appear around the world. Having gone to a Science Mind Church in Phoenix for three years he has a good grasp of the thinking of New Thought people and their message. Having been in many evangelical groups and churches including Campus Crusade for Christ, Youth With a Mission and Maranatha Ministries he knows the thinking of most Christians and their theology. It is with this in mind that this book was written, putting the strengths and weaknesses of Christian and New Thought or positive thinking groups together. 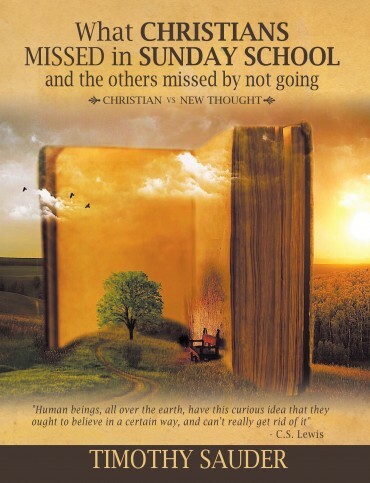 This book is also written to the one million who are leaving the church each year in order to take a second look at what they believe. 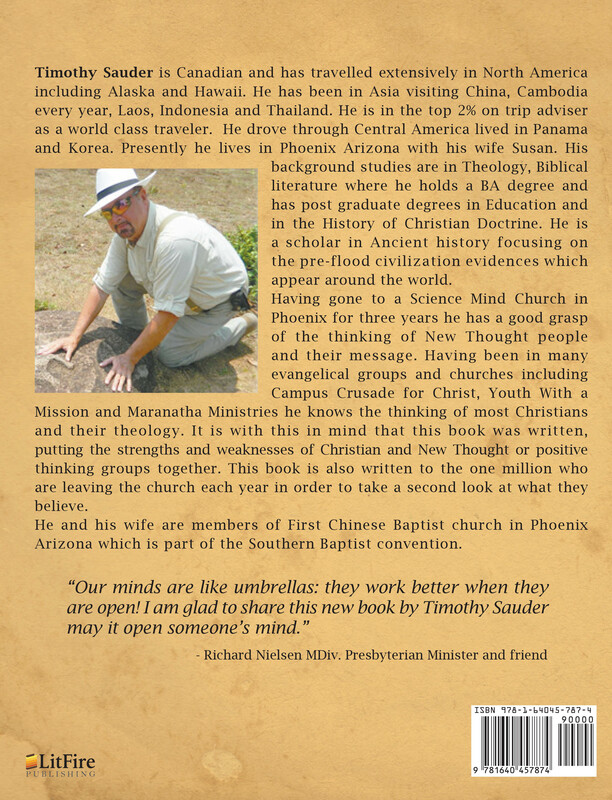 He and his wife are members of First Chinese Baptist church in Phoenix Arizona which is part of the Southern Baptist convention.